Hatsuko: How do you use Note Anytime? Mr. Watanabe: I mainly use Note Anytime as a schedule book. At first I imitated the samples supplied with Note Anytime but then I realized that I can use PDF documents so I downloaded and imported templates more specific for my use. Hatsuko: Were the PDF templates from a “common” site on the web or a specialist provider? Mr. Watanabe: It was a generally available site. There are sites that allow you to download handmade schedule refills, and I used on of these. Hatsuko: Are these refills typically designed to be printed on paper? Mr. Watanabe: Yes. I downloaded PDF files designed for printing as paper refills but then bring them intoNote Anytime to use it as my organizer. It is very easy. Hatsuko: Do you import other types of PDF document in addition to your scheduling templates? 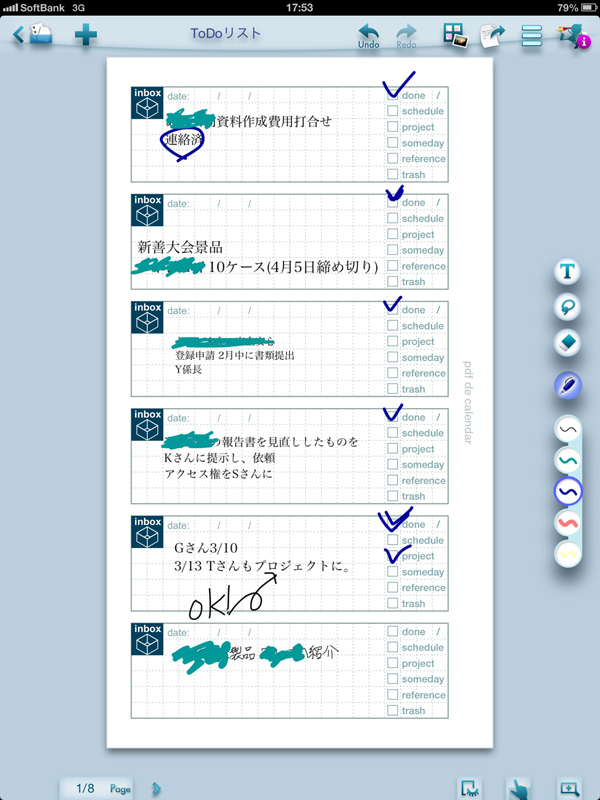 Mr. Watanabe: I also download internal PDF templates for meeting minutes and business trip reports, write the actual documents and reports using Note Anytime, and then send them from the app using e-mail; again as a PDF. Hatsuko: Are all of your internal documents available as a PDF? Mr. Watanabe: No they are also Word and Excel formats but I can easily convert them into PDF. Note Anytime is very convenient for me as I can download any of these PDF documents and just write on them. I can use other documents as templates quickly and easily. Hatsuko: What other features of Note Anytime would you highlight? Mr. Watanabe: It is useful to easily pinch in and out to scale the document. For example, it can be difficult to understand the content of a meeting or seminar if you forget to take the agenda or materials that have been provided in advance. So I copy the agenda that was sent and paste it into a part of my note at a very high zoom level. Although I cannot read it at “normal” magnification (the kind of scale used by other note taking apps) I can still see where it is located. 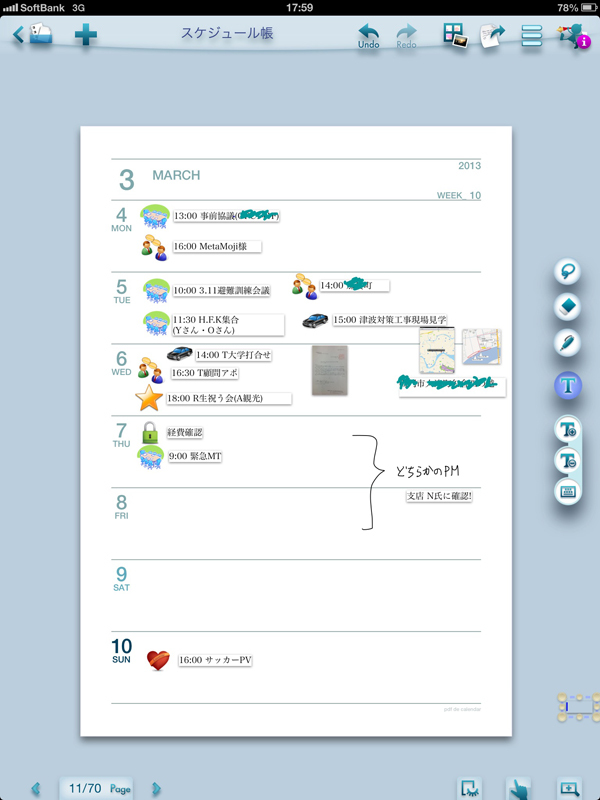 I can check it at any time by zooming to it when I want to know the agenda of the meeting or seminar. This is very useful. Hatsuko: Do you have a company scheduling solution in place and if so, how do you synchronize with it? 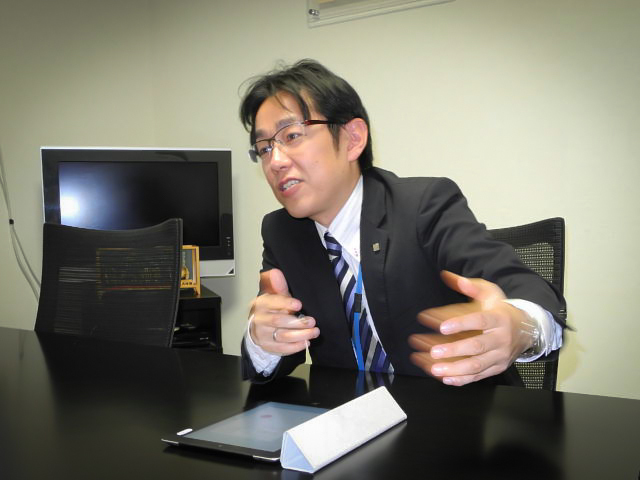 Mr. Watanabe: From the viewpoint of information security it is prohibited to connect to the company systems using unauthorized personal devices and software. I use the company scheduling system to share my business schedule with other employees however it is still easier to use my iPad and Note Anytime to manage my personal scheduling in more detail. Hatsuko: You mentioned to me that you had always used a paper based organizer in the past but that you have now transferred to iPad only? Mr. Watanabe: Exactly. I love that I can go anywhere with the iPad because its battery lasts a long time. I also find that I can take notes more easily with the iPad than on my paper organizer. This is primarily because I find the iPad is much more stable when I write. Hatsuko: Are there any tricks that you have devised when using Note Anytime instead of your paper organizer? Mr. Watanabe: I place markers to highlight specific parts of notes. Hatsuko: It is encouraging for us to hear that you treat Note Anytime the same way as you did your original paper organizer. How do you see this in the future for your company? Mr. Watanabe: The employees of my company use a PC, iPad, and a paper organizer at the moment. It would be better if in the future all of this can be done with just the iPad. I feel that such a working environment is becoming possible by using Note Anytime. 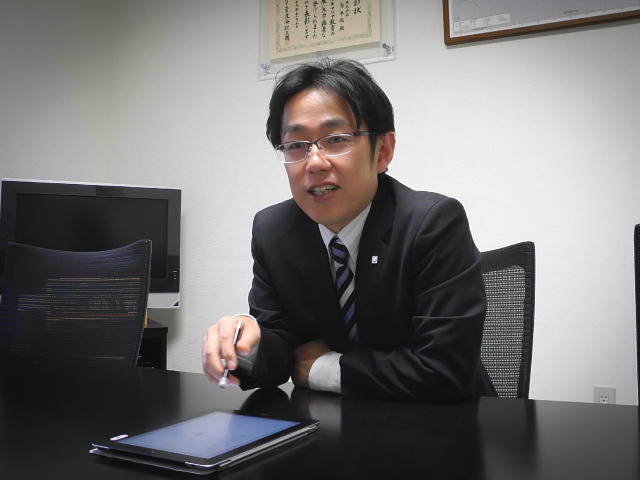 Mr. Watanabe: One other thing is that since I started to use Note Anytime as my organizer, the time that I carried iPad has increased dramatically – it has become more than a device to consume information; I am also creating it. Hatsuko: I’m happy to hear that. Why do you think you are using it more? 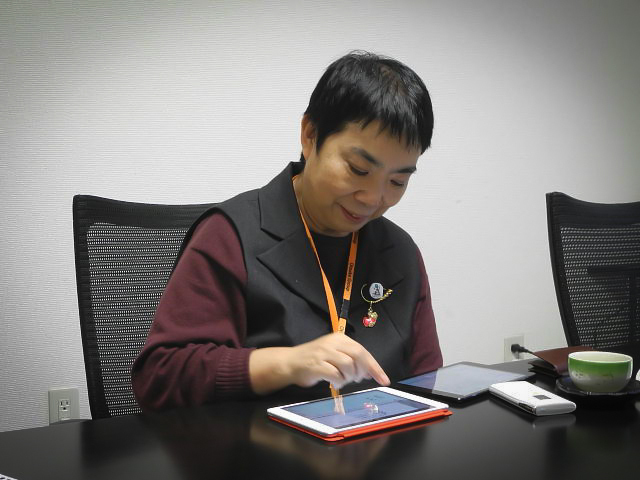 Mr. Watanabe: Although I thought it was great when I used the flick input with my iPhone (for entering characters), the touch input on tablets such as the iPad is really great for entering characters using handwriting. I feel that this will become a standard experience for tablets in the future. 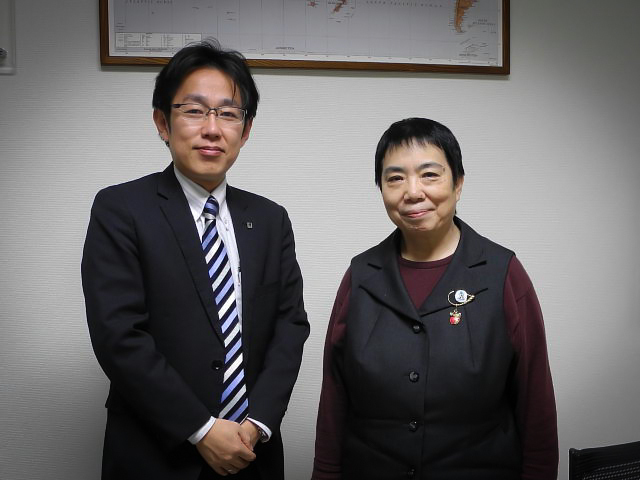 Hatsuko: Thank you for taking the time to teach us how you use Note Anytime!